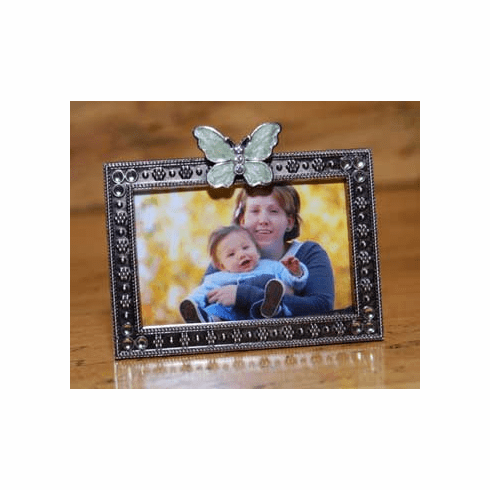 Butterfly Picture Frame - Elegant pewter frame with crystal studded green butterfly to show off your loved ones with natural beauty. Frame corners accented with green cabochons for added beauty. The frame holds a 2" by 3" photo.